Is your cannabis lab tested? More and more cannabis products go on the market every day. How do we know whom to trust? We’ve heard about the importance of lab testing cannabis. It’s not just for potency and terpenes, but for contaminants such as mold, pesticides, insects, and fungus. For patients with compromised immune systems, this is critical. Another reason for testing is to make sure a product is not adulterated with other drugs, such as synthetic cannabinoids! Now that we have been educating ourselves about where our cannabis comes from, we want clean, pesticide free products and it makes buying illegally a thing of the past. Empower yourself. Know your source. There is a lot of science involved with how cannabinoids work within different individuals. Although a strain name might attract you, that one may not be the best match for you. Scientists are working to better understand the healing properties of cannabis and how they interact with our (very individual endocannabinoid systems). According to CBS in Sacramento, a local woman was recently certified as California’s and the nation’s first cannabis pharmacy technician or “budtender.” Shayna Schonouer is the only person in the nation to hold the state-sanctioned title, which came from completing a 2 year program in pharmacy cannabis technician. Part of her job will be to verify the products have been tested. Professionals in the industry want to have high standards, show transparency and stand by their products. The importance of potency testing, a standardized dosage, and Quality Assurance helps move the cannabis industry forward with science and integrity. 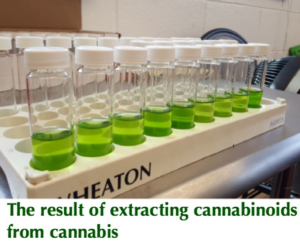 Nicholas Tolstoshev, the community manager for Growers Network (a private community for commercial cannabis growers) wrote an article on CMT Labs after his tour. Check it out here! We would love to hear from you… what have been your experiences with lab testing? Were you in the cannabis industry before lab testing requirements, how was that?